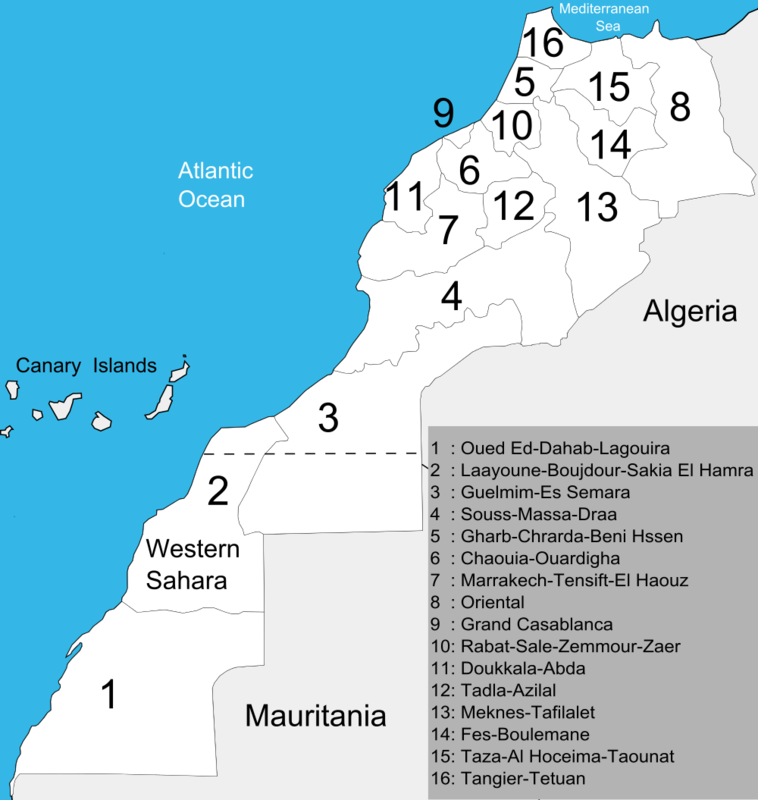 Chaouia-Ouardigha is located inland in Morocco, south of Casablanca, and between Marrakech and Rabat. It is a mixture of towns and rural areas and Settat is the capital city. The city of Settat is renowned for its beautiful Kasbah. Doukkala-Abda is located on the coast in Western Central Morocco. This area was once under Portuguese influence and there are still remnants of that culture today. The capital is Safi with its traditional medina. This area has a lot of lovely beaches along the coastline. Fès-Boulemane is one of the most traditional regions of Morocco and is renowned for the historic capital city, Fes. There are many beautiful riads and other locations for weddings in and around the city of Fes. Gharb-Chrarda-Béni Hssen is one of the most prominent agricultural regions in Morocco and lesser known than some of the other places. 65 per cent of the strawberries grown in Morocco come from this region. Kenitra is the capital city. Grand Casablanca is a coastal region that will always be known for one of the world’s most romantic movies. It lies along the coast in North Western Morocco and is one of the most densely populated areas. Casablanca is the capital city and one of the largest cities in North Africa. Guelmim-Es Semara is part of the Western Sahara. It has some disputed territory on the border with Mauritania, and also has some coastline. The capital city in this region is Guelmim, often referred to as the Gateway to the Desert. Laâyoune-Boujdour-Sakia El Hamra is also part of the disputed territory in Western Sahara. The capital city is El-Aaiún and the past connections with Spain have left a Spanish heritage in this area. Marrakesh-Tensift-El Haouz is one of the regions in Central Morocco. It lies between the mountains and the sea and has been a trading point for centuries. Marrakesh is the capital city and one of the most popular places to get married. It is full of hidden riads, boutique hotels and the colours in the city are amazing. Meknès-Tafilalet is located in North Central Morocco and shares a border with Algeria. It is known for its historical landmarks. The capital is Meknes, a city renowned for beautiful Islamic architecture. Oriental is situated on the North Eastern coast of Morocco. The capital city is Oujda, and another busy town in this region is Nador. As well as being on the Mediterranean coastline this region is known for its cypress forests. Oued Ed-Dahab-Lagouira is another region in Western Sahara, and part of disputed territory. Dakhla is the capital city here and has a lot of beautiful architecture. This was part of Spanish owned territory and there is still a lot of influence from Spain in the culture here. Rabat-Salé-Zemmour-Zaer is a region in North Western Morocco. The capital city of this region and also Morocco is Rabat. The region has many historical landmarks and Rabat itself is a large city with lots of consular buildings. There are some lovely hotels here too and places to get married. Souss-Massa-Drâa is a coastal region in Morocco which is renowned for its holiday resorts and lies at the foot of the Atlas Mountains. The capital is Agadir which is popular with visitors. 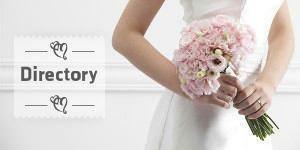 Many of the hotels in this area have bespoke wedding packages. Berber is widely spoken. Tadla-Azilal is a small region in Central Morocco. The capital is Beni Mellal which is a modern city with a Kasbah and some beautiful gardens. This region is sheltered by the Atlas Mountains and can see snow in winter. Taza-Al Hoceima-Taounate is in Northern Morocco and has the Rif Mountains as well as a number of small towns and cities. The capital is Al Hoceima, a historic city with a lot of Spanish influence. Tangier-Tetouan is the most northerly of the Moroccan regions. It is on the Mediterranean coast and is an entry port for ferries from Europe. Tangier is the capital city and has many hotels which offer wedding packages. Find out more about getting married in Morocco in our Moroccan Wedding Guide or browse our Moroccan Wedding Directory to start planning your dream wedding.